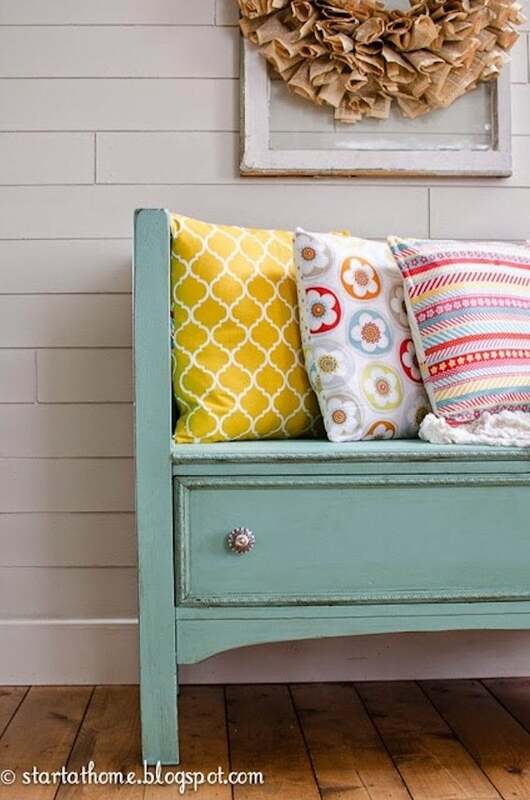 This little dresser is proof positive that even the shabbiest pieces of furniture can become your favorite. 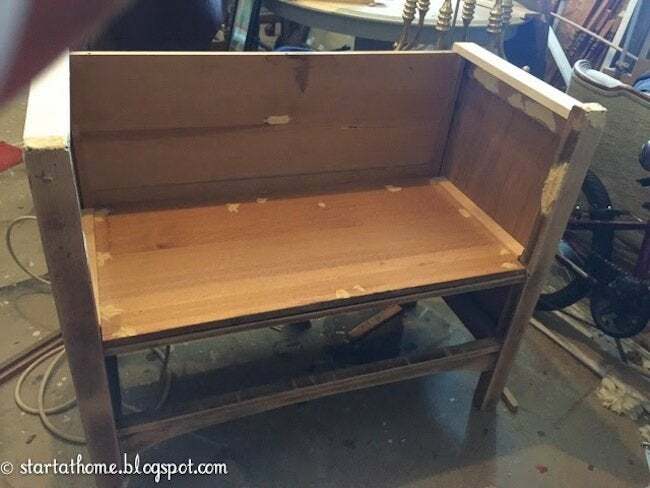 When Brooke from Start at Home picked up this secondhand chest of drawers, she quickly realized she had her work cut out for her. Not only was it missing drawers, caster wheels, and broken in places, the entire veneer looked a little, well, shabby. But “good bones” (and oak furniture) are worth saving—and we’re so glad she took the effort because this incredible bench is worth replicating. Read on to see how she did it. First I pulled off the top. After that, I pulled out the top drawer divider and guide and removed the second drawer. Leave the second drawers guide; that’s where the bench seat will go. 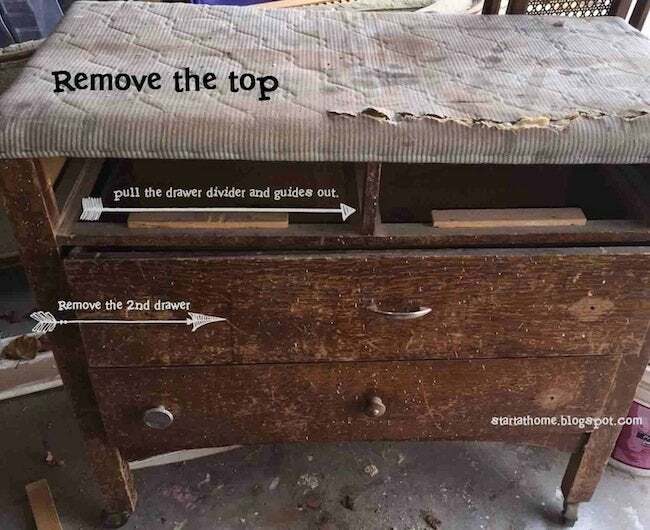 After I had the dresser stripped down to the last drawer, I flipped the old top over cut it down to size and used it for the bench seat. Once your seat is in, use wood filler to fill in all those holes and cracks. Once your wood fill is dry use a 150-grit sand paper, and sand the entire dresser until it is smooth. 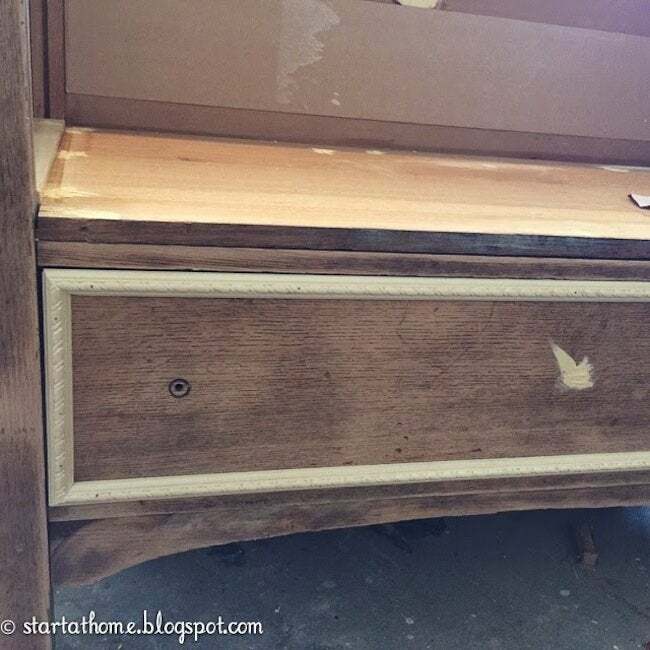 This chest didn’t have much of isn’t own character so I added some molding around the drawer to spice it up a bit. Once everything is all sanded it is time to paint. 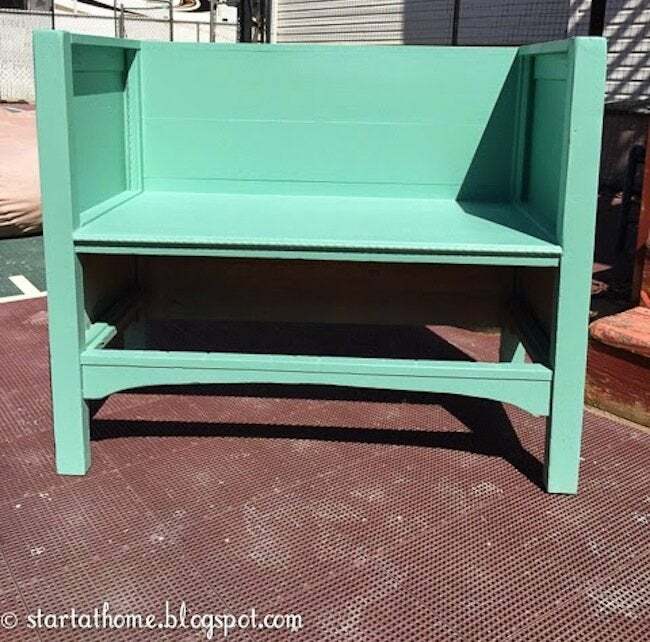 This bench could easily be painted by hand but I do use a Graco airless paint sprayer for all my furniture. I always prime my pieces first, I like to use kilz or zinsser primer in latex. Once the primer is dry it is time to add color! I used Quarry by Pratt & Lambert for this bench. After it is all painted and dried I added a brown oil based glaze to all the details to really make them pop! 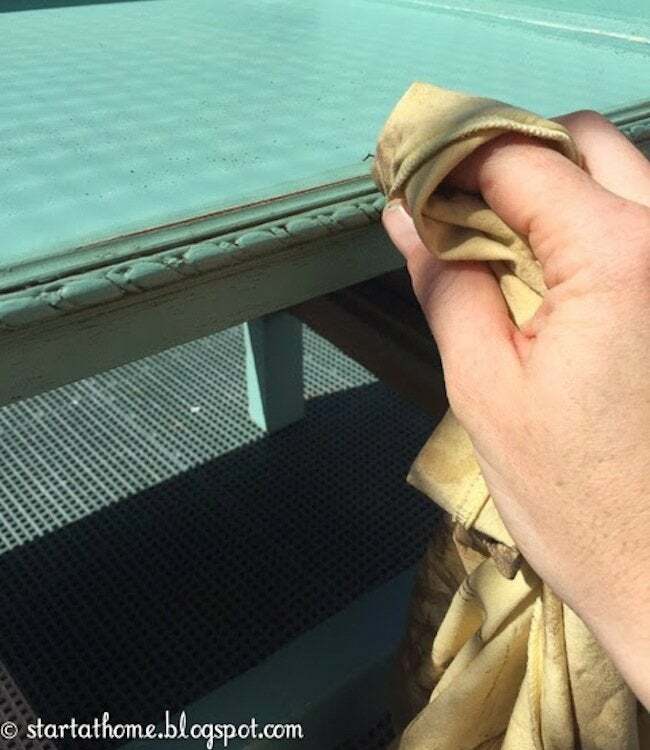 After the glaze dried I added a clear top coat to help protect this bench. Thanks, Brooke! 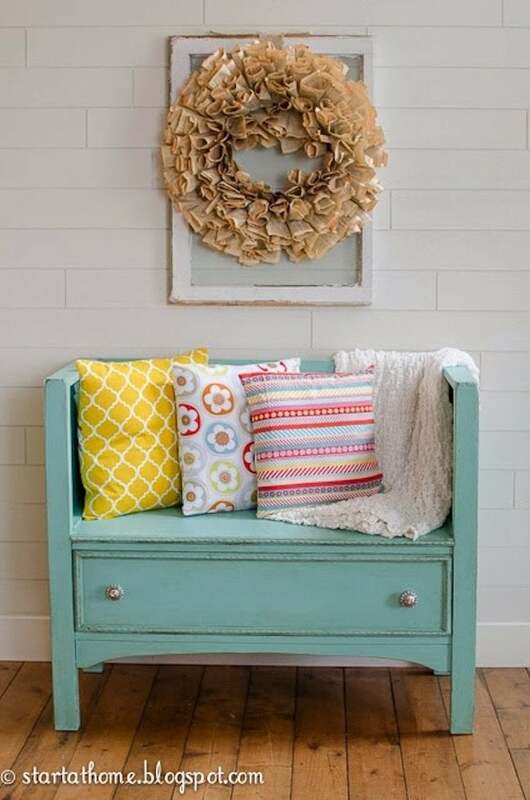 To see even more great DIYs, visit Start at Home.